U2 performed their current single, “Get Out Of Your Own Way”, at the 60th annual Grammy Awards in New York on January 28, and video from the event is streaming online. 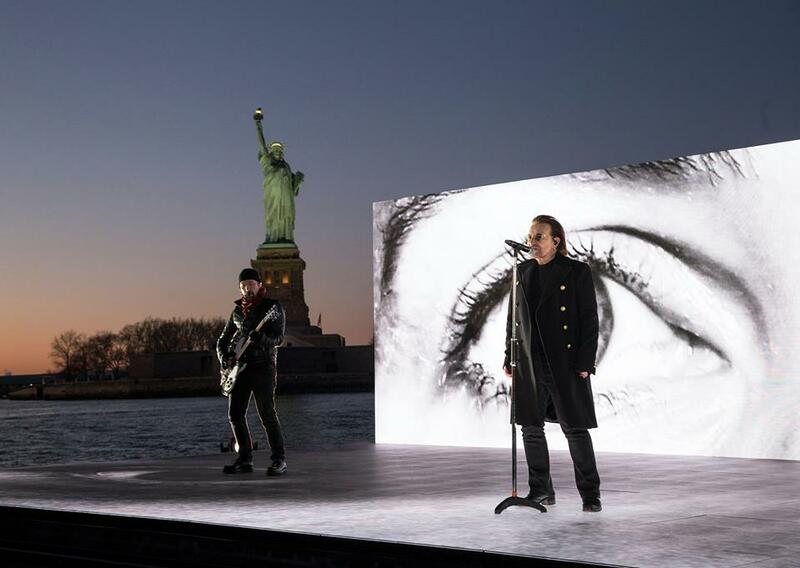 The band pre-recorded their performance of the tune from “Songs Of Experience” on a barge in the Hudson River on Friday evening, two days before the awards’ live broadcast from Madison Square Garden. Bono and The Edge first appeared briefly during the Grammy’s opening number by Kendrick Lamar before returning at the end of the program to present the Record Of The Year honor to Bruno Mars for his “24K Magic” release.